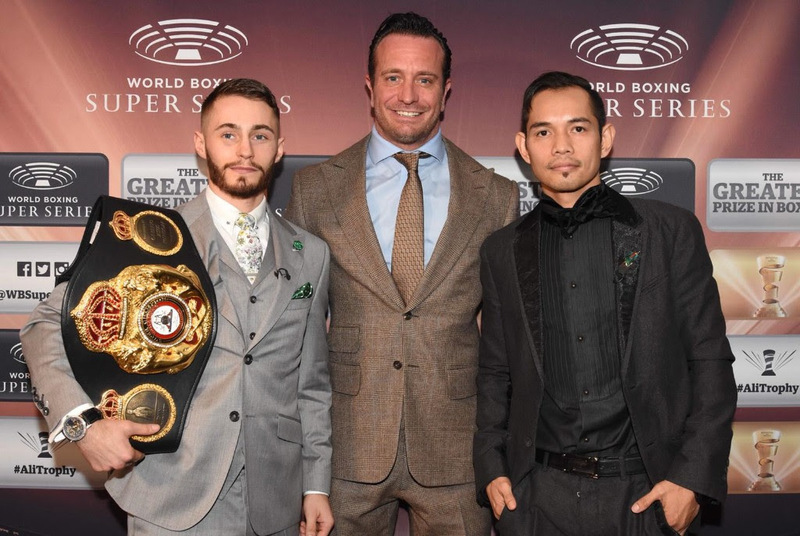 Josh Taylor & Ryan Martin and Ryan Burnett & Nonito Donaire are ready for their Ali Trophy Quarter-Finals at The SSE Hydro on Saturday in Glasgow. “This is a great opportunity,” said 118 lb quarter-finalist Donaire (38-5, 24 KOs), a former four-weight world ruler. “There are definitely similarities,” said Donaire of Burnett and Frampton. 26-year-old Burnett (19-9, 9 KOs) paid respect to his nine year older, legendary opponent. 140 lb quarter-finalist, 25-year-old Ryan Martin (22-0, 12 KOs), talked about the magnitude of the quest for the Muhammad Ali Trophy. 27-year-old Josh Taylor (13-0, 11 KOs) is looking forward to fight in front of a familiar crowd in Glasgow for the third time at The Hydro. “I’m good. I’m nice and relaxed,” said Taylor. “Delighted to be back in Glasgow. The Hydro is now my home. Every performance I’m having there, I’m getting stronger and the fans are getting bigger and bigger, and noisier. They believe in me, and there is absolutely no way there is anybody who’s going to beat me in there anytime, and especially on Saturday. I’m feeling confident. 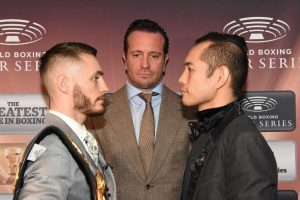 “It’s great to be in Scotland,” said Kalle Sauerland, Comosa’s Chief Boxing Officer. “We are super excited to bring the lights to Glasgow. Week in week out I sit up here with the most talented athletes. Gladiators of the business. On Saturday, we have a doubleheader. A stacked card. I wouldn’t be exaggerating when I look at the quality and the depth to say it’s the best card Scotland has seen for many many years. “If you look at what the super series is trying to do and what we are doing, it’s bringing the best versus the best. No BS. This is about the real thing. It’s about finding out who the best is in the weight classes. “We found out the best super middleweight was Callum Smith. We found out the best cruiserweight was Aleksandr Usyk. This season the guys up here are going to show us who is the best bantamweight and best super lightweight in the world. 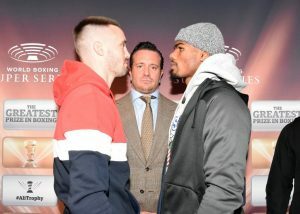 The quarter-finals are available in UK on all WBSS platforms; YouTube, Facebook and WorldBoxingSuperSeries.com. Burnett-Donaire starts 9 pm, Taylor-Martin 10 pm.